Because all good dogs deserve a Birthday Party! IT’S ALWAYS ANY EXCUSE TO PARTY AT DOGCITY! 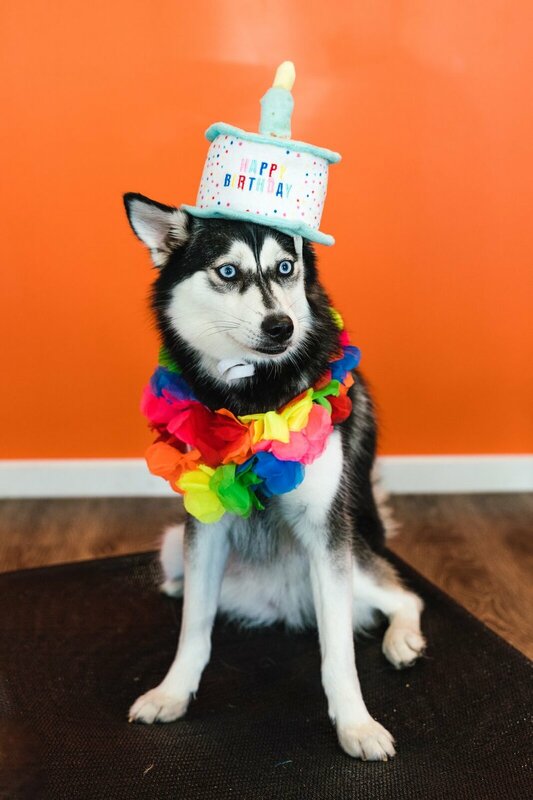 At Dogcity Daycare we are renowned for being a real bunch of party animals, so when it comes to doggy Birthday and Gotcha' parties, we like to think we're the best at throwing them! A Scruffies Pet Food Birthday meatloaf-cake (in blue, pink or orange), made specifically for Dogcity Daycare and kept right here to save you the hassle of organising pick up/delivery. *As an alternative to our 'Birthday Package', you are more than welcome to supply your own cake, and for $19.99 our Party Hosts will still throw your dog a PAWSOME celebration and upload the party photos to our Facebook page (if you do decide to make your own tasty treats for your dog to share with their furry friends, just don't forget to give us a list of the ingredients). Birthday Package available to existing clients only, and not for pups on their first day with us. If you'd like your dog to have a party, please plan ahead.